Personality: Not a bad guy, Kirikata is energetic , enthusiastic and somewhat of an optimist. Never showing signs of fear, his courageous and upbeat disposition almost lights up a room when he enters. This charismatic man is usually hyper, the kind of person who would become wormy if forced to sit in one place for too long. Kirikata may not be difficult to be around, but tends to do make sure he takes care of himself before lending a helping hand. This selfish streak makes the man have a keen eye for opportunity. Greed and charm is a mix that all too often spawns exactly what Kirikata makes a living as; a Con-artist. History: Born to an average family in a small village inside of Mizu, Kirikata grew bored of his mundane life all too quickly. Loving his family but unable to stand living a life of redundancy, Kirikata headed for more exciting grounds. Forgetting his family name, Kirikata joined a clan that lived just outside of what would one day be the village of the Mist. This clan took him in as if he were blood, and taught him their skills with weaponry. To the clans elders he was a godsend, surpassing the two previous generations with his skill. Time would pass, and Kirikata became a member of Kirigakure. His integrity and devotion toward the village is only surpassed by his love for women. Hearing a rumor about the slaughter of his adopted family he rushed to his old home. Finding the rumors to be true he mourned. He alone had to carry on their unique fighting style. Now Kirikata fights for honor, and in the name of his ‘ancestors’. With the ninja worlds new development and rapid expanse, Kirikata has decided to take part in the future. His current choice for this is to take on young shinobi who may need a guiding hand. Other: Besides Kiriktas unique Taijutsu style, he also possesses the ability to utilize jutsu using only one-handed hand seals. Source: Made by a blacksmith in a small village outside of Kiri. Purpose: Kirikatas weapon, and weapon holder. Kirikata is a swordsman, and of course as such wields a blade. 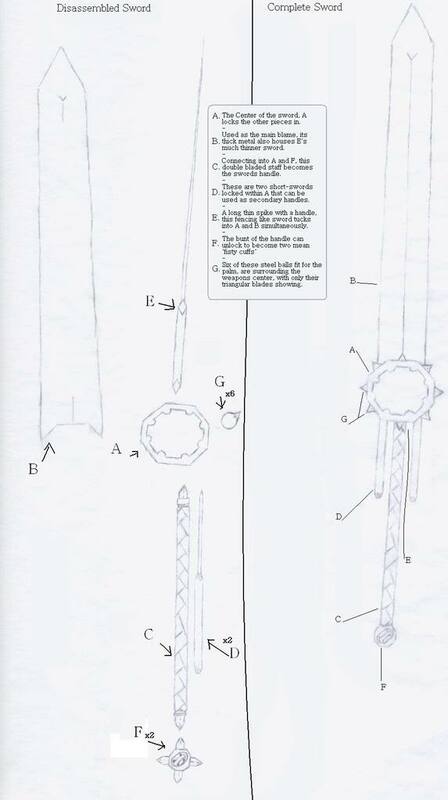 This weapon of his is very special, as while its components were being forged Kirikata’s own chakra and blood were molded into the blacksmiths materials. 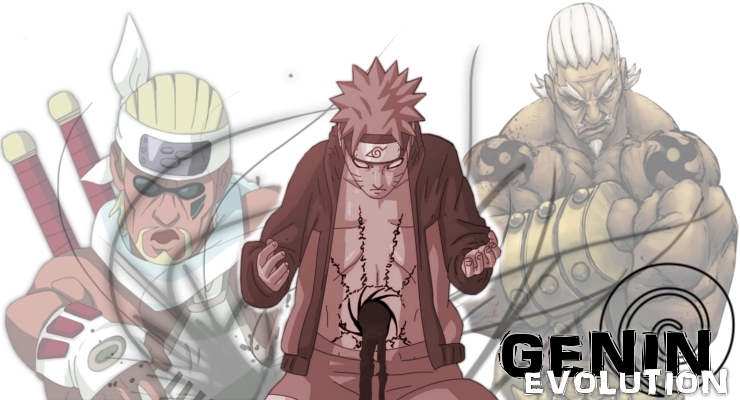 His chakra within the weapon is what makes it only useful to him. Able to communicate and react with the weapon, Kirikata can pull the blade back to him, unlock its hatches, and remove and disassemble its pieces at will. The weapons hatches can be filled with standard ninja equipment. Description: Muon Satsujin Jutsu, the ability to commit a silent homicide, is a technique to encounter your foe with no warning. Your quick speed and skills will instantly kill them before they can provide a defense. Kirikata is known as an expert in this technique. Description: A simple technique that lodges a high velocity bullet of water at a target from the mouth. Description: Mizu Kawarimi is a Ninjutsu technique used by Kirikata. This is a special Kawarimi utilizing water to take pace of the ninja if ever an emergency escape is needed. Description: Mizuame Nabara is a Ninjutsu technique utilizing the Water Element. After forming the needed handseals, the user will expel a sticky liquid from his gullet. This liquid can cover approximately 20 square meters. If the target runs on top of the liquid, their feet will become glued to its sticky surface. If the ninja focuses chakra to their feet before touching the surface, they can hover above and move over it without hindrance. This allows Kirikata or a comrade to charge and attack without fear of becoming bogged down as well. Note: Kirikatas blade uses a similar chakra surface to glide through the earth easily. Description: Suihashu is a Ninjutsu technique utilizing the Water Element. Kirikata will raise his hand into the air and emit a continuous jet of water to disrupt his opponent's attacks. Due to the nature of water, this attack works especially well against smoke based jutsu. Description: This is the style in which Kirikata uses his weapon. A technique which secrets are known only by those taught by his clan; Kenbu allows a weapon master with much skill and practice to do things with a blade which are impossible to any other practitioner. These things include but are not limited to, using a mixture of pure strength and balance to do what is best described as ‘surf’ on a sword. Allowing the swords blade to cut through earth as the swordsman glides on the weapon. Using leg strength, someone as experienced as Kirikata can flip and turn in the air on the sword and swing it every which way with his toes. 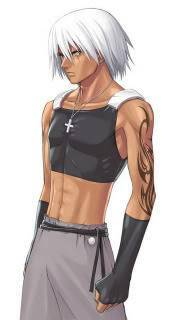 Description: Kirikata is an accomplished melee fighter, and has sought out many ways to improve his skills. Among these skill is the ability to open the celestial chakra gates. Kirikata can open up to six of these amazing gates. When opened, these gates can do the following. Releases the brains restraints allowing full power usage of the body's muscles. This is opened to prepare the body to use Kirikatas ‘Relentles Slasher’. This gate is located in the head. Raises stamina and assists in recovery after being weakened, allowing a tired fighter to feel refreshed. This gate is located in the head. Body enters a higher state of power, turning a shade of red. This gate is located along the spine. Further increases speed and power, usage will begin to tear the body's muscle fibers. This gate is located along the spine. Further increases speed and power, this will top the bodies 100% physical limits. This gate is located along the spine. Further increases speed and power, a large amount of chakra pours out of the gate for Kirikatas usage. This gate is located along the spine. Description: Using the power increase of the Life gate, Kirikatas ability to pull his sword to him with his chakra is heavily amplified. This amplification allows for him to quickly thrust and pull his sword and its pieces in any direction. Using this he can hold on to it while it jets around, riding it as usual, or he can stand alone while his swords pieces spin violently around him, creating a superior close range attack and a ‘perfect’ defense. Description: This cocktail of speed and power takes an opened Wound gate to pull off with success. Using his ‘Ball Blades’ in conjunction with great speed and force, Kirikata will ricochet his steel spheres that are tipped with a small shiving blade. Kicking them around with the souls of his feet, and bouncing them with the steel of his weapon the attack is a barrage of metal projectiles only escapable by the fastest of foes. This is Kirikatas only real ranged technique. Description: Kirkatas large sword is a blessing in battle, but the sheer mass of the thing sometimes gets in the way elsewhere. Because of this he often only caries part of it with him, the center and main handle. The two parts alone are almost his height and crudely resemble a mace, but he would feel naked without at least some small protection on him at all times. His summoning technique allows him to bring his sword, or its un-summoned pieces to him. This is a technique of pure convenience.